I was clearing some garden beds where some red clover had self-sown. I decided to harvest and use the flowers first. 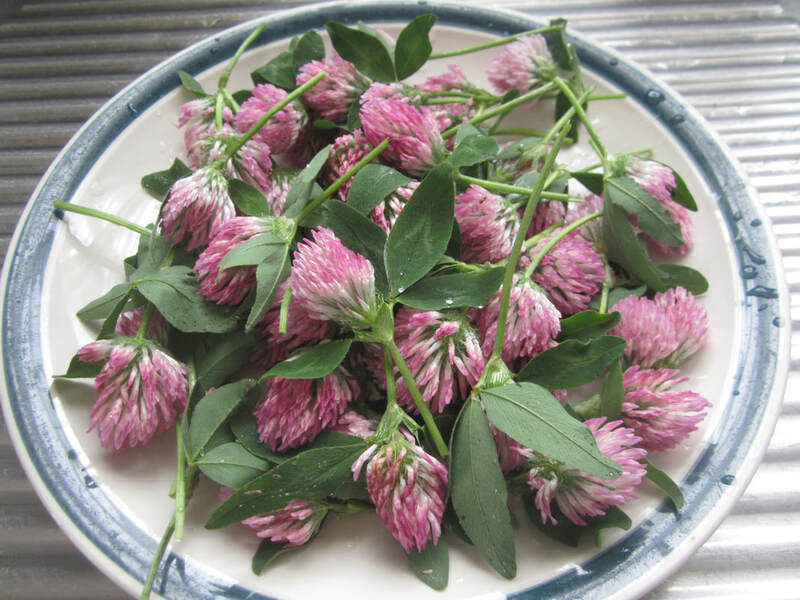 Red clover flowers can be used in salads or cooked in various dishes, and have many nutrient and health benefits. This time I wanted to preserve those benefits to use medicinally. So I made a tincture. 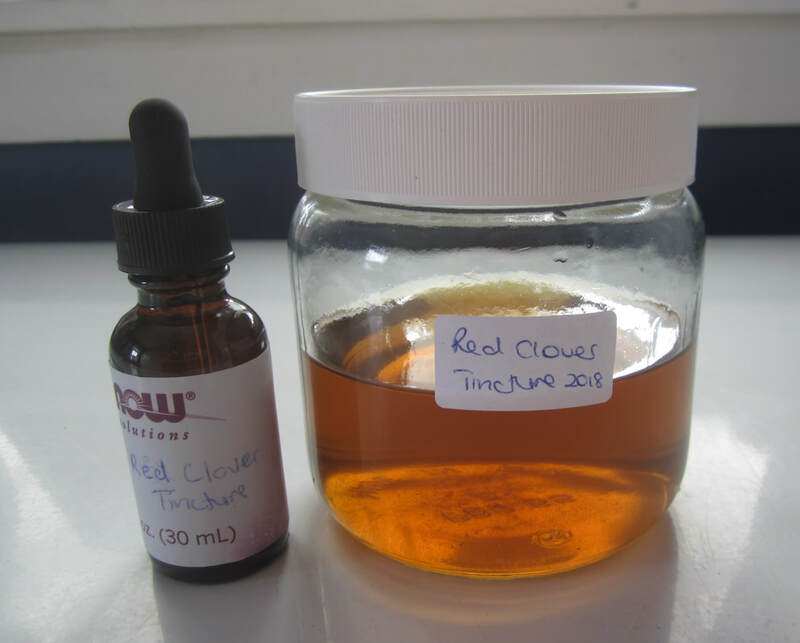 Note: Red clover is considered a great cleansing herb, particularly useful for skin conditions, and having strong anti-cancer and anti-inflammatory properties. However, it has phyto-estrogen properties which make it unsuitable for patients on blood-thinning drugs, those who are pregnant, and for those on certain hormone treatments. It is not my intention to give any medical advice on this website, and readers are advised to do their own research and consult a medical practioner when appropriate. There is a great deal of information about the use of red clover on the internet. 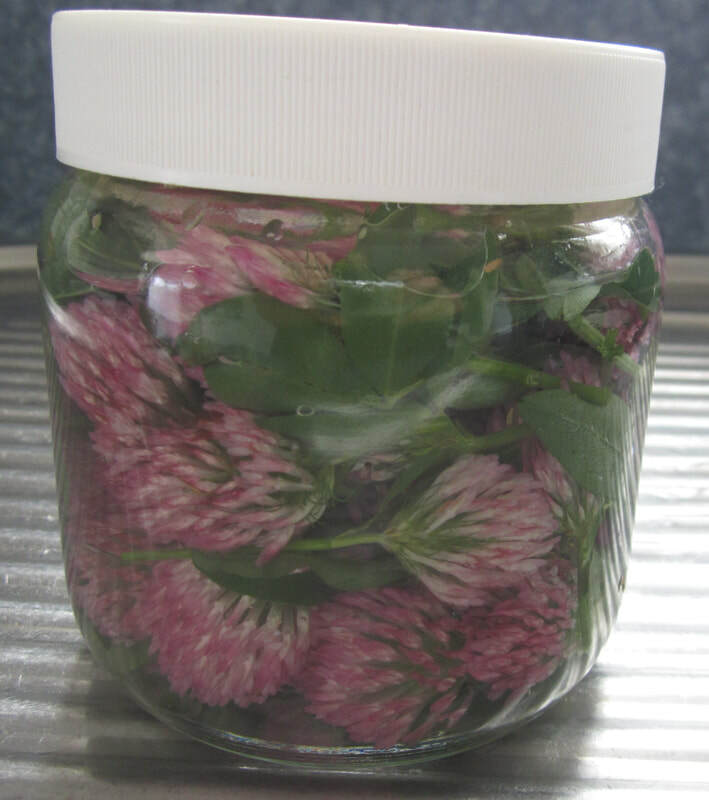 Pick healthy red clover flowers. Wash to remove any bugs etc. Shake well to remove excess water - I spun them in a salad spinner. Trim as needed. I removed most of the leaves and stems, but a few leaves are fine. Pack flowers into a glass jar. Cover with plain vodka, 40% alcohol. Stir. Screw on lid. Place in cupboard. 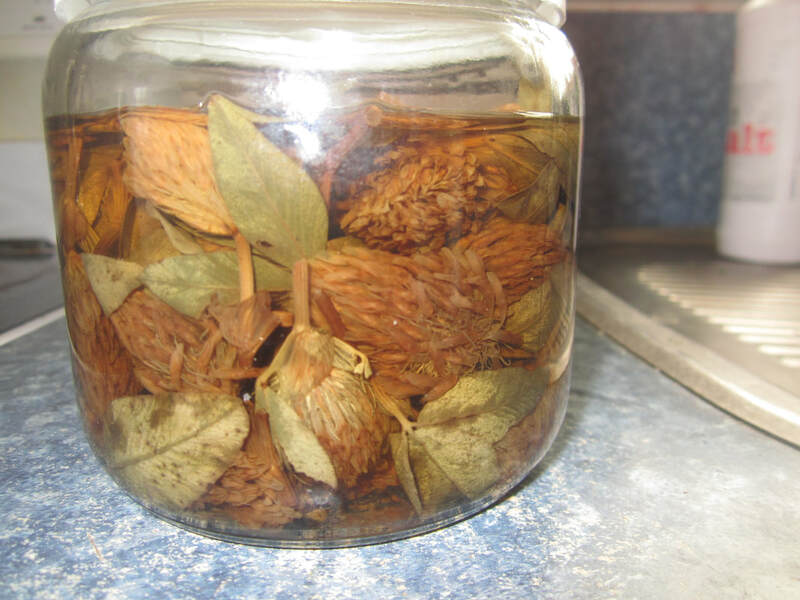 Shake or stir every few days - the colour will quickly drain from the flowers as the tincture evolves. After 4-6 weeks, strain through cheesecloth, squeezing out as much liquid as possible. Bottle the tincture in a clean jar, label, and store in a dark place. I decanted some into a small dropper bottle for easy dispensing. Dropper bottles are available in a six pack from iherb. Dosage: Research or consult a practitioner to find what is right for you. Personally, I plan to take 5ml per day and see how I feel. I first came across this idea in Wendyl Nissen's A Home Companion - a Year of Living Like My Grandma. Suffering from a chronic infection in her breast, Wendyl had tried a number of cures, both medical and natural. 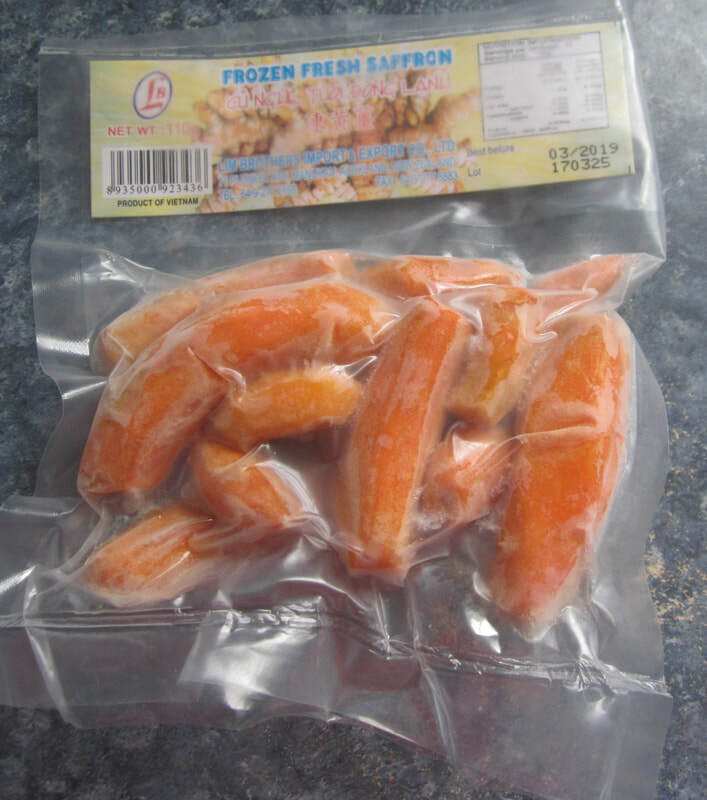 Then, while in Bali, she came across tumeric root being sold in the local market. "Tumeric is a natural antiseptic, preservative, and anti-inflammatory," she reports. "The Balinese mix it with coconut oil to treat skin diseases and fungal infections. They also drink a tonic of it called Jamu every morning. The Balinese say it helps prevent cander, aid digestion and clears up respiratory infections." I first tried a modified version of Wendyl's recipe when I felt the beginnings of a cold coming on - my husband was sick (a rarity! ), and I, who normally get every bug going, was beginning to get a sore throat. So I hunted high and low for fresh tumeric root. It can be grown at home in Northland, where it's suitably warm, but down here it's a rarity. None of the local stores had it. Finally I tried the Asian market. They had it, but only frozen. That'll do! I made up and drank some Jamu according to the recipe below each morning for three days. The sore throat didn't develop, and I never got sick. I made some for my husband, who had developed a nasty cough and was really struggling to recover. That was the turning point for him. A young man living with us also got sick while away for a few days; by the time he returned he was pretty miserable. After listening to him cough for a couple of nights, I offered him some Jamu. He looked pretty skeptical, but when I handed him the glass and said "drink this" he complied. "Hey, this doesn't taste half bad!" he said. His cough disappeared over a couple of days. So now whenever I feel the possibility of "something coming on" or if people around me are sick, or I just want a general pick-me-up, I make up some Jamu. Because of tumeric's strong anti-inflammatory properties, it's also wonderful for those of us with auto-immune and/or gut health issues. I've therefore decided to make it a routine part of my morning for the next few months. Note: A friend who has severe adrenal fatigue resulting in major blood sugar crashes found that taking this crashed her blood sugar. That is because one of tumeric's properties is that it lowers blood sugar. This is a good thing for many people, but not for my friend. So use caution if appropriate. Grate the fresh or frozen tumeric using a fine grater on a large plate (it will tend to spread a bit otherwise). Scrape the grated tumeric into a glass, and rinse the plate immediately to prevent staining. Add honey to taste, and some hot water to dissolve and stir. Finally, add lemon or lime juice. I just cut lemon in half, and squeeze it over a tea strainer to remove pips, straight into the glass.